Can Smoking Cause Diabetes?-Stop Smoking Right Now for Good! 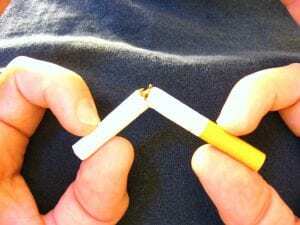 Can smoking cause diabetes? Oh yes it most certainly can! I can thankfully admit that I don’t smoke. No, I didn’t quit. I just never started. Ok, I tried it when I was 16 and it did nothing for me. One of the first tips on how to stop smoking is to never start. So obviously this is for anyone who has never smoked and is thinking of trying it. So how would I know about smoking? It’s easy because everyone in my family smoked. My dad used to tell me that I was the smart one on the family because I never smoked. Out of the five of us, my mom, dad, and brother passed away due to smoking and my sister still smokes! I don’t get it. I know. It’s an addiction. Nicotine is addicting. I watched my mom and dad smoke Lucky Strikes! Yuck! They weren’t so lucky and I’m not trying to be funny either. My wife had a blockage in her arm from smoking and they had to do a bypass by taking a vein out of her right leg and putting it in her left arm. Guess what? She stopped smoking. That was enough to finally make her stop smoking. It’s such a terrible habit and has no health benefits. So just what is the link to diabetes? Tobacco is responsible for raising blood sugar levels and can lead to insulin resistance. The fact is that the more you smoke, the greater your risk of developing diabetes. And if you are a very heavy smoker (more than a pack a day), you double your risk of getting diabetes in comparison to someone who doesn’t smoke. There are unfortunately so many ways that nicotine affects your body. It will decrease your appetite and this is not a good way to lose weight. It will increase the activity of your intestines and also create the production of more phlegm and saliva. Nicotine can cause diarrhea, sweating, and nausea too. 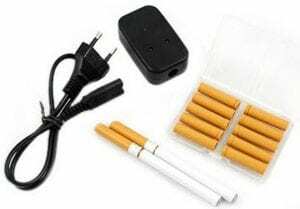 Nicotine is also responsible for making you more alert from your nervous system being stimulated and in addition it raises your mood level that brings you to a better feeling of happiness. So what makes smoking so addictive then? It’s the pleasurable feelings together with the psychological dependency that makes it addictive. So the more that you smoke, the greater that your acceptance is to nicotine and the result is to get that feeling of being “high” from the smoking. Most smokers (about 80%) admit that experiencing the symptoms of nicotine withdrawal are the sole reason for not quitting. The withdrawal symptoms begin as soon as a couple of hours of putting out the last cigarette. Let’s face it, it isn’t easy at all and I’m not a smoker. I feel that it’s harder than dieting and that’s hard! Trust me! Maybe you’ve tried dieting too so you would know what it’s like. Sometimes I think smoking and dieting are controlled more by our emotions than anything else. This concerns me as a non-smoker. I’ve been in places whether it’s a bingo hall, casino, or any other place where smoking is allowed. There’s almost nowhere that you can smoke indoors anymore and I know why. To me it’s utterly disgusting because it feels as if I’m in a giant ash tray. Cigarettes to me are bad enough but pipes and cigars are even worse! I don’t want heart disease or lung cancer or any other disease especially related to second hand smoke. Since smoke contains over 7,000 chemicals, some of which cause cancer, I as a non-smoker don’t want to inhale these same chemicals that a smoker is exhaling into the same air that I am breathing in. There are over 3,400 lung cancer deaths each year from second hand smoke in the United States alone. And it’s worse for children. They shouldn’t be susceptible to their parents smoking or second hand smoking from anywhere else for that matter. So where is this most common? They allow you to inhale nicotine without the smoke. While many people use these and try to quit, the jury is still out on whether they work or not according to health experts. While they are very popular the use of e-cigarettes is controversial and the FDA does not regulate them. So there isn’t anything to suggest whether or not they are safe and a successful way of quitting smoking. I’m not sure I would use e-cigarettes as an out for smoking. It would just seem as though I’m still smoking using these products. I feel I could do better with ways to quit that will be permanent and never have me wanting a cigarette product ever again! I know for sure that anyone who smokes will admit that it is the hardest thing in the world to do. I’ve experienced people trying to quit and while some have succeeded (my wife included) it takes many tries to be successful. Once you do quit smoking, the benefits kick in and pay off immediately! Once you’re not smoking anymore you can reduce your risk of dying drastically from a smoke related disease. Within the first hour of quitting smoking your body reacts and your pulse rate slows down, your blood pressure drops and your feet and hands temperatures rise. Believe it or not, your blood has started to turn it around from the effects of smoking after only eight hours. This is amazing to me. Eight hours? Wow! This occurs because the oxygen and carbon monoxide levels go back to normal again. After two days your dead nerve endings from the smoking start to revitalize. Your sense of smell is improved as is your sense of taste. 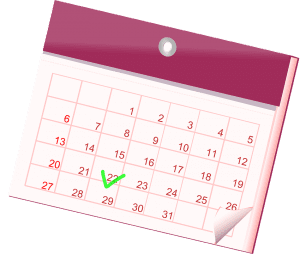 Now at three weeks or so your lungs are functioning at a much better rate because your circulation has increased and walking, biking, and other exercising starts to be easier than before. Next at three months give or take you will not find yourself wheezing or coughing as much as you used to because of decreased phlegm being produced. These benefits are not felt the same as the first ones with the fast benefits. Your risk of coronary heart disease has now been cut in half to what it would have been as a smoker. In the next five years your risk of suffering a stroke has diminished compared to if you were still smoking. The ten year plan now decreases your risk of lung cancer in half compared to smokers. The list also includes cancer of the kidneys, pancreas, bladder, esophagus, and mouth. At the fifteen year mark your risk of heart disease is approximately the same as others who never smoked before. Your risk of dying period is returned to the same risk as a non-smoker. Calculating your success as an eternal “win.” Look at it and take it one step at a time. It’s a daily triumph for you to constantly remember. Skipping meals is not a good idea. Spread your meals throughout the day. You don’t want to be eating more food, but having it less often. Cranberry juice helps you to stabilize your blood sugars and also aids in removing nicotine from the bloodstream. Methods to cope with cravings include your mind thinking about it expecting the nicotine to come in certain circumstances and places and you should be fighting and overcoming and not backing down from these fears. Drink water and plenty of it. Take deep breaths very slowly. Develop a plan for you to quit. Write everything down and make sure you have goals to meet. Keep busy as much as possible. It keeps your mind off things and distracts you from cravings. Exercising is a great way to stay busy for your health and your mind to replace the thoughts about nicotine. Take a walk. Walking is great therapy for everything. Chew hard candy or gum. Spend some time with friends and family. Do not hang around smokers. Here is THE critical decision of your life. 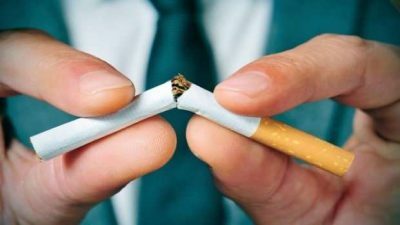 After smoking your FINAL cigarette, promise yourself and never break that promise that you will never ever smoke again and when you come across people who smoke just think to yourself how lucky you are to quit and don’t envy them because they’re still on the road to killing themselves. 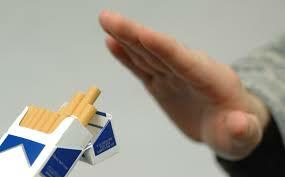 Try to remember the fact that you’re not quitting cigarettes and smoking. You are quitting the most negative thing you were doing to yourself in your life. Have your coffee. Just do it without the cigarettes. Once you quit and win the battle you’ve been fighting, you will be the winner of living a longer healthier life. Make sure that before you make your plan to quit that you have NO cigarettes around and that you won’t ever have eve ONE and think that one is alright. It isn’t. It’s over. You’re taking control. Substitutes such as gum, patches, inhalers, and nasal sprays are not helpful. That’s it in a nutshell, really. Quitting cold turkey as you’ve heard I’m sure. It’s all in the mindset. Try the tips above or even join a support group or counseling. Do whatever it takes. It’s hard. People who I know that have quit told me that. They stopped smoking cold turkey. I just want to say from experience that my wife quit after the bypass in her arm. If SHE could quit, anyone can! Not going to preach here because dieting and controlling my blood sugar is hard but I’m doing it. But I look at smoking as putting for in my lungs. Put our your fire. I know you can do it. Please leave any comments and questions below and I will respond as fast as possible. I appreciate it. I’m on your side. Good luck and thank you for reading! It’s so great to hear a story about how someone is beating their addiction. Sometimes you need to hear about someone who succeeds to help you through your own journey. Nicotine is also angiogenic, correct? It makes sense if is. It would allow you to absorb even more and faster. It’s interesting to hear about the link between diabetes and smoking. A problem that compounds problems. Argh! 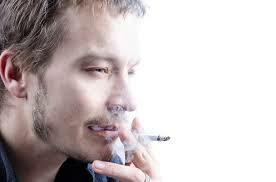 Smoking is obviously a bad habit but so many people smoke and are hooked on it. I don’t want second hand smoke affecting me. Nicotine is not a good thing and neither is diabetes. If you have diabetes, stop smoking. If you smoke stop because you don’t want diabetes or any other related disease. It’s so hard to quit but easier to never start smoking. Regarding your website, it’s always good to see that someone is adding natural ways to remedy an illness. I have smoked for over forty years and can relate to the withdrawals of nicotine. It is a powerful drug; however, your tips on quitting smoking seem well thought out and helpful such as chewing gum, drinking lots of water, and exercising. Your tip on spending time with family and friends reminds me of the hours at work when I don’t think about a cigarette. Thank you, Rob, for your tips. I will take this serious and comment on my future success! Yes Lulu smoking is also bad if you’re pregnant. Way back when E-cigarettes weren’t even available. When you’re in bad health and have diabetes, people should either quit cold turkey or try the methods I described. There just isn’t one thing positive about smoking or diabetes. I hope we all get it together and boot smoking and diabetes to the curb. Thanks for your comments! I remember as a kid sitting at the dinner table how the smoke from my dad’s cigarettes always drifted right to me. He would also give me a buck and send me to the store to get him a pack. LOL.Wow how times have changed! I smoked for a few years in my early 30’s. I quit cold turkey one day and haven’t been back. I chewed a bit of nicorette gum at the time. Hey Kevin. I experienced the same thing as a kid. Quitting cold turkey is great and I applaud you for quitting. Smoking wreaks havoc on your body and it’s not good with diabetes as well. I’m so against smoking because my parents died from it and having diabetes myself I wouldn’t want smoking to make things worse. Thanks for your comments!